Los Angeles, California — June 10, 2010 — Jennifer Beever is a featured speaker on a panel discussion, “Beyond 9 to 5: Building Your Professional Brand,” at the Los Angeles chapter of NAWMBA, the National Association of Women MBAs. Jennifer, who received her MBA from the Pepperdine University Graziadio School of Business in 1990, has been asked to speak on how to strategically build a professional brand using social media and online marketing. Other panelists for this event at Loyola Marymount include business author Larraine Segil, NAWBO Past President and attorney Cynthia McClain-Hill, and Loyola Board of Regents member and internationally-recognized Architectural Interior Designer Denise Richards. Jennifer Beever calls herself the “CMO for Hire for geeks, scientists, and engineers.” She is an Inbound Marketing Certified Professional and a Certified Management Consultant (CMC) with the Institute of Management Consultants USA (IMC USA). She is currently the Marketing Chair for IMCUSA’s annual Confab conference for consultants by consultants, served for three years as Marketing Chair on the national board of the Association for Strategic Planning (ASP), and is a past-president of ASP – Los Angeles and IMCUSA’s SoCal chapter. 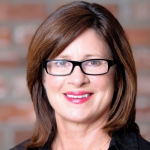 For more information about Jennifer Beever, New Incite or its outsource CMO for Hire services, contact Jennifer Beever by email or by calling 818-347-4248. The National Association of Women MBAs (NAWMBA) is a not-for-profit organization dedicated to empowering women MBAs in order to propel more women into leadership positions in corporate America and to enhance the diversity of the nation’s workforce. The NAWMBA-LA chapter focuses its efforts in four key areas: education; professional development; networking; collaboration.